Wine corks are harvested from the cork tree which is found in Spain and Portugal. The naturally occurring material almost fell away, because of the neglectful ways the cork forests were treated. Today, however, due to reforestation plans put in place by the Portuguese government, more than enough corks can be produced to fill the many, many bottles of wine created each year. However, another item is threatening the natural cork. That item is called the screw top. Screw tops have a reputation for concealing terrible, horrible, no-good wine. I will say that Eric and I still profess to being a little embarrassed when we bring a screw top wine as a hostess gift. We usually predicate the wine giving with, "You know we are fancy because that there wine doesn't need no fancy corkscrew to open it." That said, a lot of higher echelon wines are beginning to embrace the screw top. Traditionalists claim that the "pop" of uncorking a bottle with a natural cork means something special to the wine drinking experience. 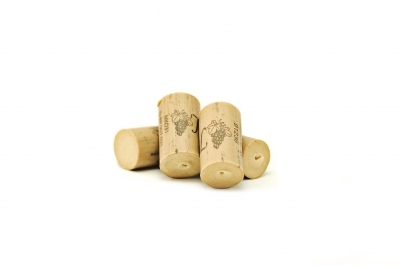 Further, cork has special properties which allows the cork to be compressed into the bottle and easily removed. The downside of using natural cork is TCA. The scientific term for TCA is 2,4,6-tricholoranisole. A very long term which means the process of using natural cork has created an unpleasant and musty aroma for wine. Some estimates place the problems with using natural cork as high as ruining as many as 1 in 20 bottles of wine. Two responses to the TCA problem have occurred. The use of synthetic corks and screw tops. Synthetic corks have their own problems, such as being difficult to get out of the bottle and expense. Also, a synthetic cork just looks ridiculous. As such, many winemakers have turned to using screw tops. 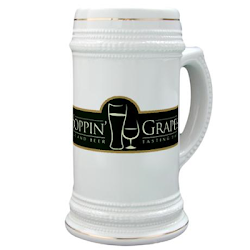 A screw top is inexpensive, provides a great seal for the wine, and is easy to open. 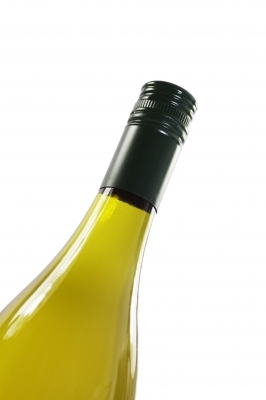 Modern technology created a screw top which allows enough air into the wine to provide a good taste and allows for a uniformity in closing wines. Although many, many winemakers are turning towards screw tops (including Arizona's own Callaghan winery), the wine industry contains a lot of kickback towards the screw top. The biggest problem with the switch is the "cheap" reputation of the screw top. Many countries such as France and Italy are very resistant to using screw tops. These traditional countries view the natural cork as a way to reconnect with the past and keep up the tradition of wine making. Another problem, albeit a much smaller one, is that wines with a screw top may not age as well as wines with a natural cork. Anecdotally, screw top wines have remained fresh for up to 20 years. However, many winemakers are still waiting for scientific proof of the longevity of screw top wines. In the end, screw tops are losing their "cheap" reputation. Many quality wines can be found with a screw top. Just remember, don't judge a wine by its screw top! - Want to know how to rate wine? Click Here! to view a unique perspective on rating wines. - Trying to figure out what wines you like? Click Here! and learn how to choose the right wine for your tastes.